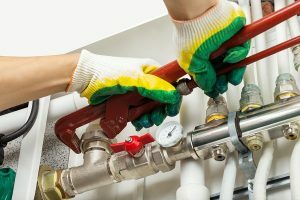 Installing suppression systems can be a wonderful part of your safety! Many businesses are dependent on their servers and computer data. In a fire situation, it becomes increasingly important to make sure that this equipment is protected.. Having clean agent suppression systems installed can do wonders for protecting your important documents from getting ruined or lost. Oftentimes, business data rooms are not ventilated very well. This can easily create fire dangers within your office. Server rooms generate a great deal of heat. If not properly managed this can be a risk to you equipment and the office area. Therefore, the NFPA has specific regulations to protect these rooms from a fire. Since computer rooms and areas with a large volume of electronics are fire hazards, it’s critical to implement safety standards that alleviate any fire risk from these specific areas. In general, a fire can cause severe damage to any business. However, when a fire impacts a company’s electronics, it can be detrimental. Because a business typically stores crucial information on computers, a fire can easily destroy some major documents that are vital to the success of your business. Forty percent of businesses do not reopen after a fire. While protecting your facility with a sprinkler system is important for life safety, a sprinkler can do more harm than good to your server room and computer equipment. This is why a clean agent suppression system is recommended. Once a clean agent suppression system is activated, a gaseous agent is released. Once this element is released into the air, it cools the fire to the point where the fire is extinguished quickly and cleanly. There is no residue left behind from this gaseous agent. This allows your equipment to continue operating without damage from fire or sprinkler water. It is highly recommended that a clean agent fire extinguisher is also kept near server rooms for this reason. This entry was posted on Thursday, April 6th, 2017 at 9:33 am. Both comments and pings are currently closed.